Historical survey on Iraqi Christians or Christians of geographical ,,Assyria” who also became known as ,,Assyrian” Christians. Who are these Christians of Iraq? Historical survey on Iraqi Christians or Christians of geographical ,,Assyria” who also became known as ,,Assyrian” Christians. Who are these Christians of Iraq? Since the war on Iraq in 2003, the Iraqi Christians increasingly became the center of attention among the International press. Many articles have been published on their situation with comments and suggestions made about their future in the new Iraq. Who are these Iraqi Christians who contributed to the world civilizations? What is their origin? These very same Christians are not only living in Iraq; but spread throughout the middle-east and divided into several denominations. What is their origin? Who are the people that have inhabited the area which was known as Mesopotamia, and forms a great part of Iraq today, for thousands of years? Who are these Iraqi Christians who contributed to world civilizations? These Christians are not only living in Iraq, but spread throughout the Middle East and divided into several denominations. Who made them known as “Assyrian,, Christians and why and since when? The area of the Indigenous Iraqi Christians, the Cradle of Civilization, is now divided between Turkey, Syria and Iraq! 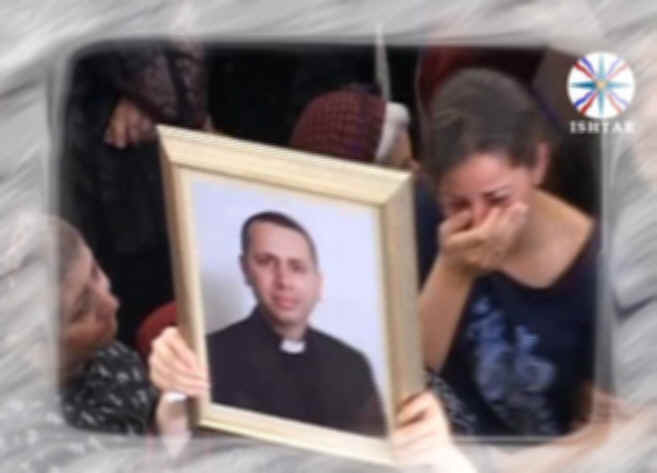 Consequently, these Christians are often labeled as “Turkish Christians”, “Iraqi Christians”, “Syrian Arab Christians” or as “Kurdish Christians” for those living in the northern part of Iraq. Who are these Christians exactly who speak the Aramaic and becomes victim of discriminations; genocide and persecutions for hundreds of years with the result they almost get annihilated? ..............1. 1552 (AC) Establishment ,,Chaldean” Church. .......................2.2. 1.3 million, 2 million???? So-called ,,Assyrians”? The majority of the Iraqi Christians, approximately 500,000-600,000, are often incorrectly labeled in certain media and in contradiction to the historical facts as, “Assyrian Christians”. They are the indigenous Aramean people of Mesopotamia. They are not “Assyrians”. 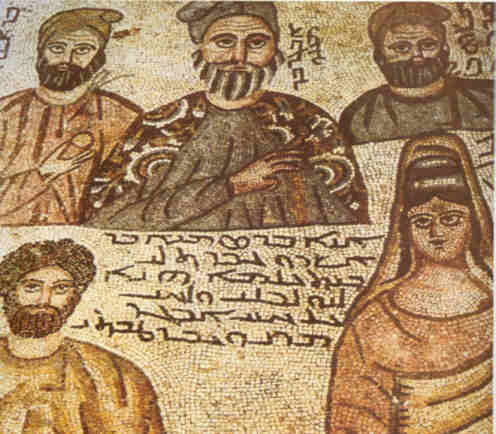 This ancient Semitic people, now divided into several denominations and spread throughout the Middle East, have been in Mesopotamia for thousands of years and have made a significant contribution to world civilizations particularly through their Aramaic language. Aramaic was also spoken by Abraham, Moses and Jesus Christ. Today, they amount to approximately 4-5 million people worldwide who have faced hundreds of years of discrimination, ethnic cleansing, genocides and continuous persecutions. 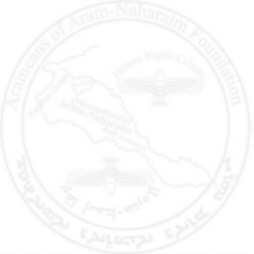 The name “Assyrian” was used by the Anglican missionaries in the 19th century to denote the Aramean tribes of Urmia (Iran) and Hakkaria (bordering Turkey-Iraq) who since then prefer to call themselves “Assyrians” and try by all means possible to distort the Aramean heritage and the Aramean language by spreading a vast amount of misinformation in the media. 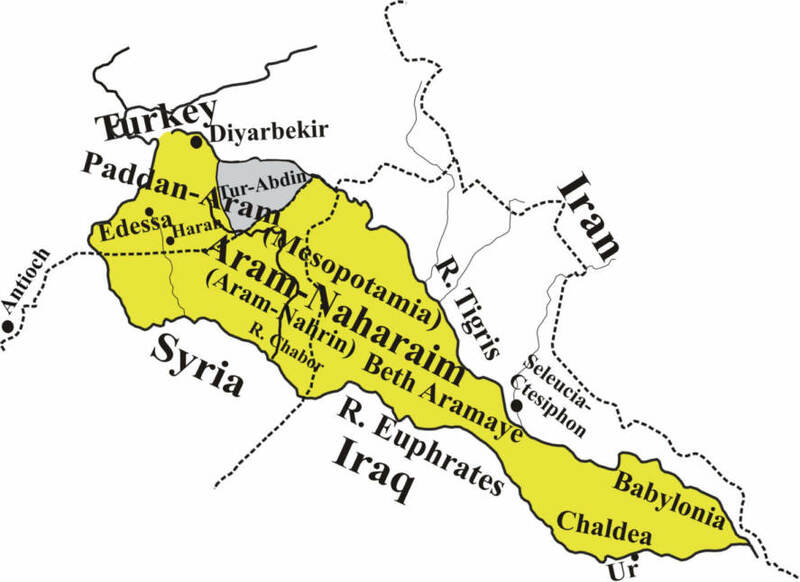 In the ancient times the cradle of the Aramean forefathers was called Aramnahrin (or: Aram-Nahrin) in Aramaic. In Hebrew it was called Aram-Naharaim which we encounter in the Old Testament . When the Old Testament was translated into Greek, the term Aram-Naharaim was translated to Mesopotamia, which many become familiarized with through reading many educational and historical texts. The northern area of Aram-Naharaim was called Paddan-Aram, meaning the land of Aram where Biblical figures like Abraham and Jacob lived and walked. “You must go back to the country where I was born and get a wife for my son Isaac from among my relatives." Abraham says, “….the country where I was born….” meaning the country of his Aramean fathers Paddan-Aram (part of Aram-Naharaim). Roughly speaking, this area is situated in present south-eastern Turkey. A section of Paddan-Aram is now called Tur Abdin in the Aramaic (Syriac) language, which means “the mountains of the servants of the Lord”, due to the overwhelming presence of monasteries and churches. Because of overwhelming presence of Arameans in the southern part of Aram-Nahrin, in the era of early Christianity, it was called Beth-Aramaya, meaning (in Aramaic) “the house of the Arameans”. After the coming of Jesus Christ, the Arameans (including ,,Assyrians” and Chaldeans) of Aram-Naharaim accepted the teachings of Christ and established together with the apostles of Jesus and the converted Jews, the Syrian Church of Antioch, the second Patriarchy after Jerusalem, where for the first time the followers of Jesus Christ were called ,,Christians” (Acts 11:26). This church was the mother of all the Churches – and the first Church established outside Israel, whose Patriarch currently resides in Damascus, Syria. More information on the establishment of the Syrian Orthodox Church of Antioch, please read more in Part II of the Hidden Pearl from the hand of the respected Oxford professor Sebastion Brock. The Semitic Arameans (‘not to be confused with “Armenians”) underwent a change of name after they had embraced Christianity and were then called “Syrians”, in order to be distinguished from the Arameans who were not converted. However, this should be of course not confused with the present-day Syrian Arabs. 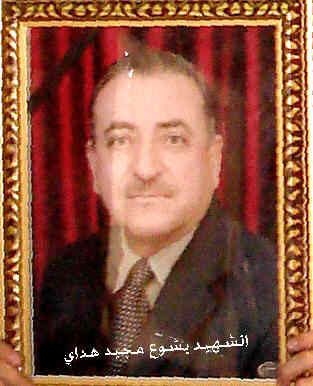 In deeper sense; the original ,,Syrian” does not belong to the Arabs, but to the Aramean people of Mesopotamia. However, after conquer of Mesopotamia by Arabs, they adapted the name "Syrian"; with the result that the real Syrians, that is to say: Arameans; became strangers in their own indigenous lands. The Aramean people are peaceful minded, living according to the ten commandments, showing respect, dignity and love to their neighbours and always respecting the law of the countries in which they reside. They show others the example of love and brotherhood. In contrast to other peoples they never resorted to the path of intolerance, fanaticism and violent uprising. On the contrary their motto has always been: loving and respecting your neighbour like yourself! The path of intolerance and fanaticism however has opened the way for bloodshed, hatred and genocide. Sadly, the Aramean policy of peaceful cooperation based on love, brotherhood, respect, equality and mutual understanding was not received with open arms by everybody in this part of the world. The confusion regarding the origin of the Aramean was created by the western missionaries in the 16th and 19th when they started their activities in the middle-east. 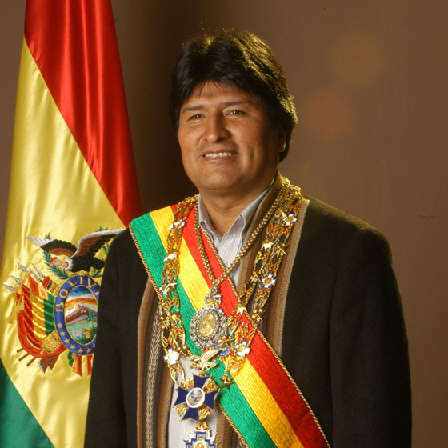 Likewise many other indigenous peoples, for example those from Latin America, Peru, Mexico, Chili and other countries all over the world; also our people became victim of the Western colonialism which damaged our people severely. Here below we will explain to you how the Western missionaries came to the middle-east to create division, hatred and weakening our people. The East-Aramean ,,Nestorians” became in the course of the time known as the Christians of geographical ,,Assyria” or ,,Assyrian” Christians or Christians ,,Assyrians”. 424 AC: The meeting of Seleucia- Ctesiphon: The split of the East-Arameans from the see of Antioch. The Arameans where spread throughout middle-east. However, in the very beginning of the Christianity; geographically they were divided into East-Arameans; those living in Persian Empire and West-Arameans; those living in the Roman (Byzantine) Empire. River the Euphrates was the border of geographical separation. The Church in Persia: The Church of the East or the Church of Persia, Seleucia Ctesiphon was the seat of the Catholicos. However the Arameans in Persia were still under the jurisdiction of Antioch. Unfortunately, soon the East-Arameans would decide to split themselves from the Syrian Orthodox Church of Antioch and form an independent patriarchate in Seleucia-Ctesiphon. Thus before 424 AC there was one church and one Aramean people; namely: The Syrian (Orthodox) Church of Antioch and the Aramean people of Aram-Nahrin. Even far after the decision taken in 424; the brilliant church fathers of both sides were aware of their Aramean origin; see the testimonies of the brilliant historians of the Church of Antioch. Due to the decision taken in 424 AC, Seleucia- Ctesiphon had put itself in opposition of Antioch, rather it had split from the mother church; the Syrian Church of Antioch. When the teachings of Nestorius was rejected by the Council of Ephesus in 431; the Arameans of Persia did not reject explicitly the teachings of Nestorius and hence they soon got the heretical name “Nestorians”, as later would become clear, undeserved. This resulted in the separation between the East-Arameans of Persia and West-Arameans of Roman Empire. 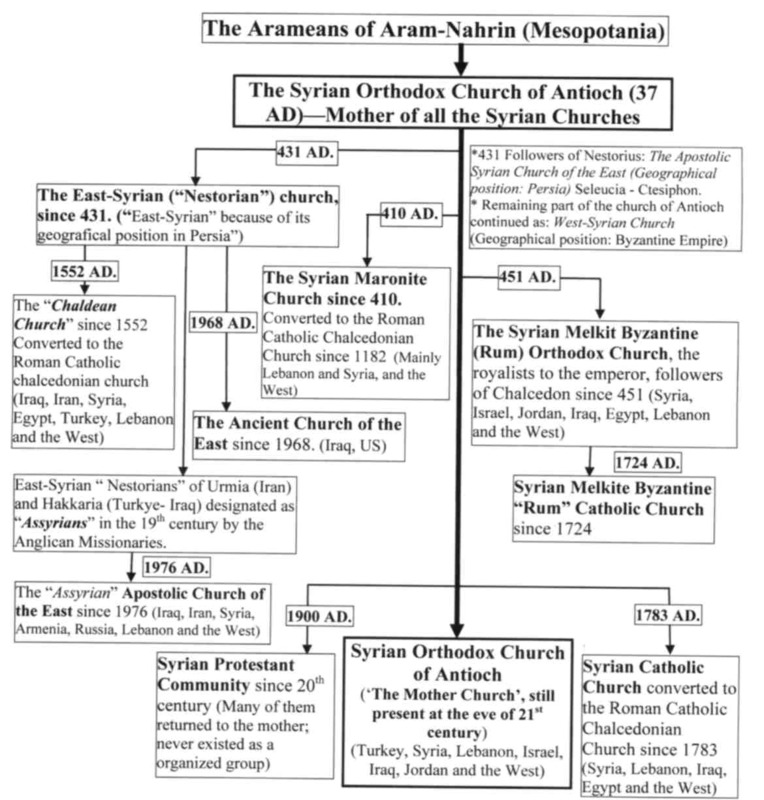 These Arameans “Nestorians” of the Syrian Church of the East became victims of the Western missionaries and were labeled by various exotic names with the result that they were split in various denominations. They first were designated as “Chaldeans” in 1552 by the missionaries of the Roman Catholic Church; later in 1841 they were identified as “The ten Lost tribes of Israel”, and finally due to excavations from 1843 onwards identified as “Assyrians”. After the separation of the East-Arameans of Persia; their church was called,, The (Syrian) Church of the East” or “East-Syrian Nestorian Church” or ,,Nestorian Chruch” The Church of Seleucia” or ,,The Church of Persia”. “East-Syrian” because geographical position was Persia with Seleucia- Ctesiphon as the seat of their Catholicos. Consequently; the Syrian (Orthodox) of Antioch continued as “West- Syrian” because its geographical position was in Byzantine Empire; with Antioch as the seat of the patriarch. The list of the Catholicos’ of the Church of the East proves that the East-Arameans of Persia were considered Orthodox as well. 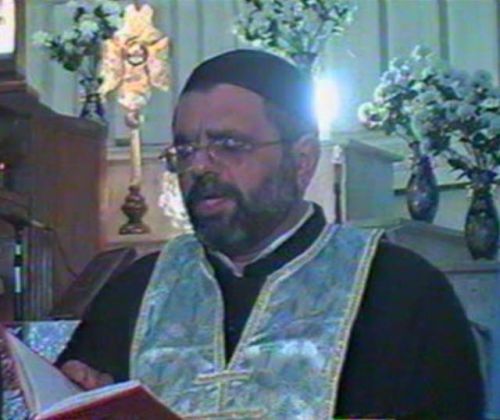 The Catholicos’ of the Church of Persia are considered as orthodox until Catholicos 21: Mar Dadisho I (421-456). In the list can be seen that the Syrian Church of the East did not explicitly reject the teachings of Nestorius; for the Catholicos’/patriarchs of this church were called after him, thus: Nestorians Patriarch. Professor Sebastian Brock however says in part II of the Hidden Pearl on page 192,, The last Catholicos of the Church of the east who is recognized as Orthodox by the Syrian orthodox Church was Babowai, who died as a martyr in 484. 431 AC: Council of Ephesus. The council of Ephesus condemned the teachings of Nestorius. The East- Arameans did not follow the decision of Ephesus with the result that the separation became a fact between the East- Arameans and West- Arameans. 1. 1552 (AC) The ,,Chaldean” Church. The Syrian “Nestorian” Church of the East was split into two groups as a result of the activities of the missionaries of the Roman Catholic Church. 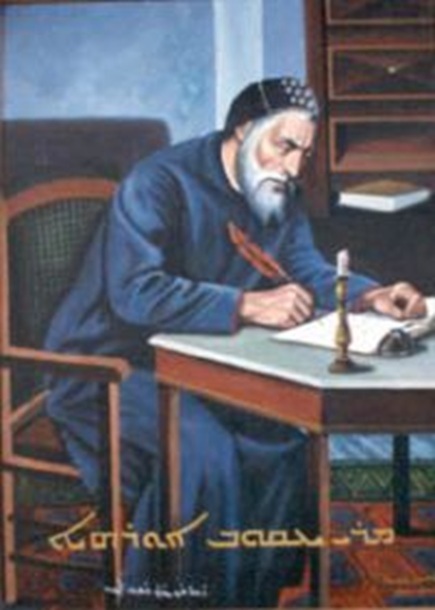 The part of the Church united with the Catholic Church in 1552/1553 assumed the name “Chaldean” and with that, the Chaldean Church (of Babylon) was born. The patriarch of this Church now resides in Baghdad. Today, the East-Syrian Chaldeans form the majority of the people in Iraq. Exact numbers are unknown; however the amount of Chaldeans is estimated to be 200.000-400.000; mainly in the northern of Iraq. 2. 19th Century (1842- 1915) The creation of ,,Assyrians”: Those among the east-Aramean “Nestorians” who did not embrace the Catholicism remained faithful to the East-Syrian “Nestorian” Church until 19th century. In the late 19th century, we see a similar thing happening, following the example of the Catholic missionaries, “of dividing and ruling”. This time, being carried out by the Anglican missionaries, with the remaining part of the East-Syrian “Nestorians” of Hakkaria (bordering Turkey - Iraq) and Urmia (Iran), who were wrongfully identified as “Assyrians”; purely geographical and only applied to the “Nestorians”. The East-Aramean “Nestorians” prefer, since then, to call themselves “Assyrians” and try, by all means possible, to force this term onto other Aramean denominations by spreading plenty of biased information regarding the origin of our people and our language. They also started to distort historical facts. For example: Aramaic language; they changed in “Assyrian” language; Aramean people in “Assyrian” people. Saint Ephraim the Syrian; became “saint Ephrem the Assyrian”; Syrian Church became “Assyrian Church”. In this way they try by all means possible to falsify our history and our sacred language. Regarding the behavior of the western missionaries; a profound research has been made by Professor John Joseph who says,, In 1905 a congregation left the Russian Church to join the United Lutheran Church of America, which maintained a few Nestorian priests under supervision of the American missionary. Other western- supported congregations began to proliferate early in the twentieth century. A Sweedish- American “Augustuna Synode” employed a Nestorian priest who conducted two day-schools. The Evangelican Association for Advancement of the Nestorian Church, founded at Berlin in 1906, employed a Nestorian priest who had Lutheran training in Germany. For about 10 years a German Orient Mission maintained an orphanage outside Urmiyah for Nestorian refugees from mountains. The English Plymouth Brethren employed a few priests in a mission of their own. Other smaller missions were connected with the American Dunkards, the Holiness Methodists, the American Southern Baptists and Northern Baptists, and the English Congregationalists. There was perhaps no missionary field in the world where there were so many rival “Christian” forces at work as were found in urmiya at the beginning of this century; all struggling to get predominance among these few people. These painful and mythical descriptions,, Chaldeans” and ,,Assyrians” in reference to our people, invented by outsiders, who were unaware of the Hidden Pearl[7a], which was, till the present day, buried beneath the persecutions and ethnic cleansing of past centuries, are definitely not in agreement with the historical facts recorded by the brilliant historians of the Church of Antioch who enlightened the world of their time, not only with the theological knowledge but with profane science as well. The coming of the missionaries to the middle-east did not contribute to stability and mutual understanding between various peoples; but rather resulted in hatred and jalousie towards the Aramean people and their decline in the middle-east. After the activities of the Archbishop of Cantebury Assyrian Mission” 1887- 1890 and 1890- 1915 ; the nationalistic fanaticism took possession of some of East-Arameans. 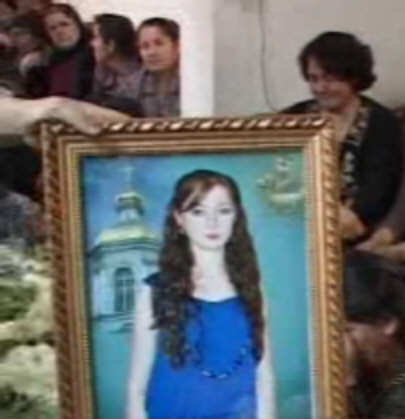 The problem to these nationalistic people was however the name of the Syrian Church of the east. Until 1975, this Church was called,, (The Apostolic) Church of the East”. This was a “Thorn in their flesh”. The Patriarch Mar Eshai Shamun XXIII refused to change the name of the Church. In 1975 he was killed under mysteries circumstances. 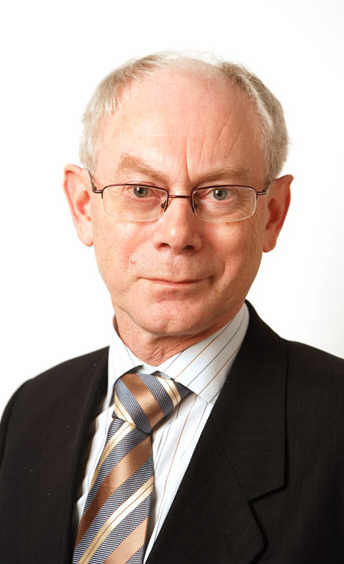 Regarding this assassination professor John Jospeh says,, : The District Attorney further argued that one of the motives in the killing was Assyrian nationalism; he tried to prove that the Assyrian Universal Alliance (AUA) was involved in the assassination. 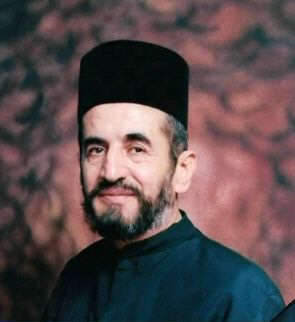 After the assassination of Eshai Shamun XXIII; a new patriarch was elected in 1976. His name: Mar Dinkha IV. The same years, thus 1976, the name of the Church has been changed in “Holy Apostolic Catholic Assyrian Church of the East” (http://www.cired.org/). 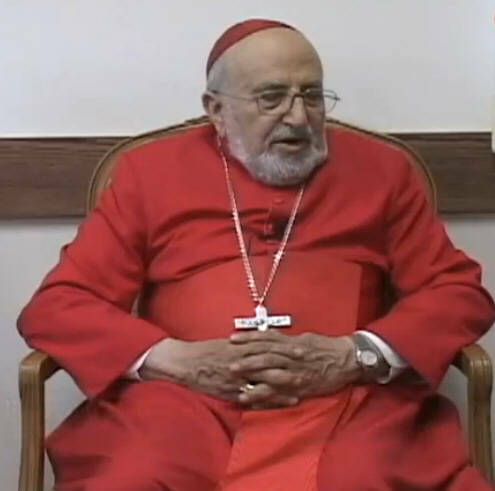 The Patriarch Mar Dinkha IV resides in Chicago United sates. 2. 2 1.3 million, 2 million???? So-called ,,Assyrians”? Due to the vast amount of deliberate misinformation spread by the “Assyrian” fanatics; we regularly encounter in several publications numbers like for example,, 1.2 million “Assyrians” or even 2 million “Assyrians” in Iraq. This is definitely false! Indeed, there are no accurate figures about the total amount of Christians in Iraq. However, numbers of 500.000-600.000 of the total Christian population would be more realistic. As to the “Assyrians” their amount is estimate to be around 25.000-30.000 people; quite different than the exaggerated numbers spread by themselves. The Ancient Church of the East was established 1968; after the split within the Church of the east. 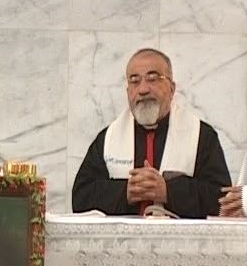 Its patriarch is in Baghdad and it has 5 dioceses including 1 in United States. Numbers of this Church unknown; maybe around 20.000-30.000 in Iraq? 1. 33-37 AD: The Syrian Church of Antioch: The Syrian Orthodox Church of Antioch; the mother of all the Syrian Churches. According to the Archbishop of Baghdad, Severius Hawa; there around 100.000 Syrian Orthodox adherents in Iraq; with 60.000 in Baghdad. 2. 1783 AD: The Syrian Catholic Church: The Syrian Catholic Church since 1783. Its members; estimated around 40.000-45.000. The cooperation between France and catholic Church is typical mixture of religion with politics and was carried out under supervision of the powerful Jesus of the West. Today we see this happening within international terrorism. This gives always problems, when politics and religion are mixed. However, this concept has been invented by the Western missionaries and countries which had a devastated impact on the Arameans of the Middle-east.